All The Pretty Dresses: Your Moment of AWWWW! 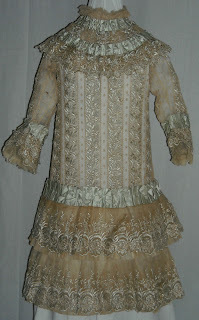 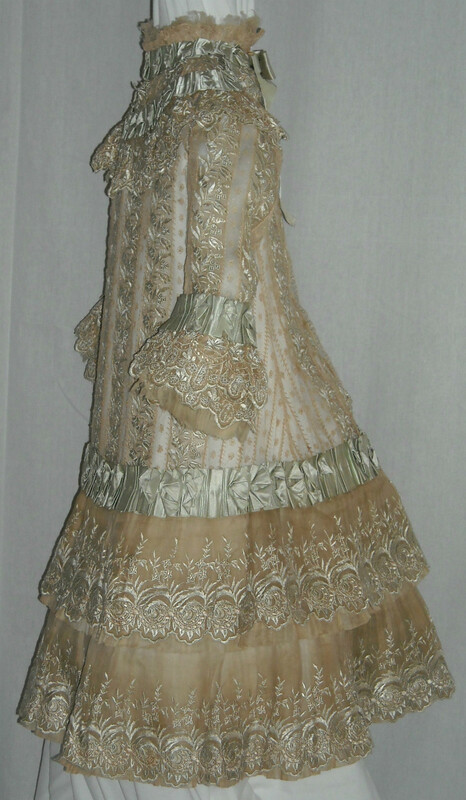 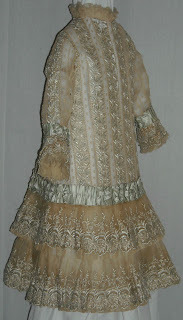 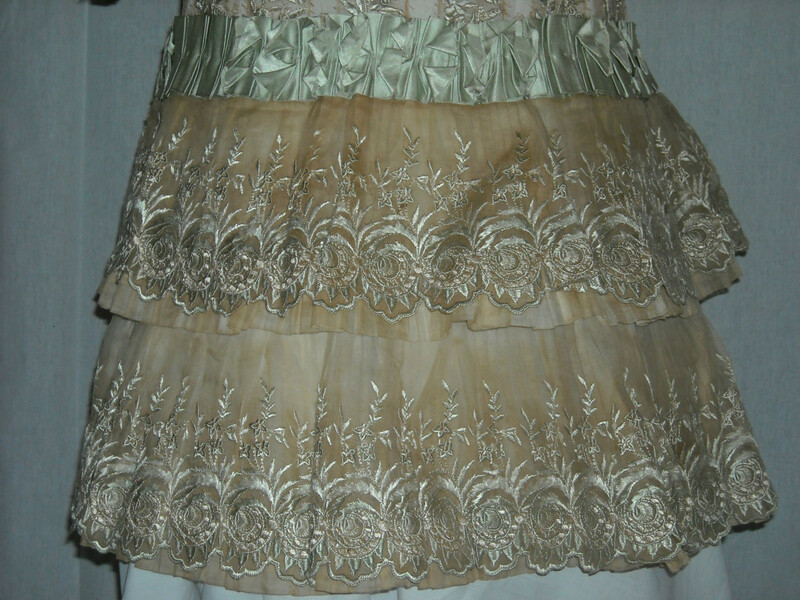 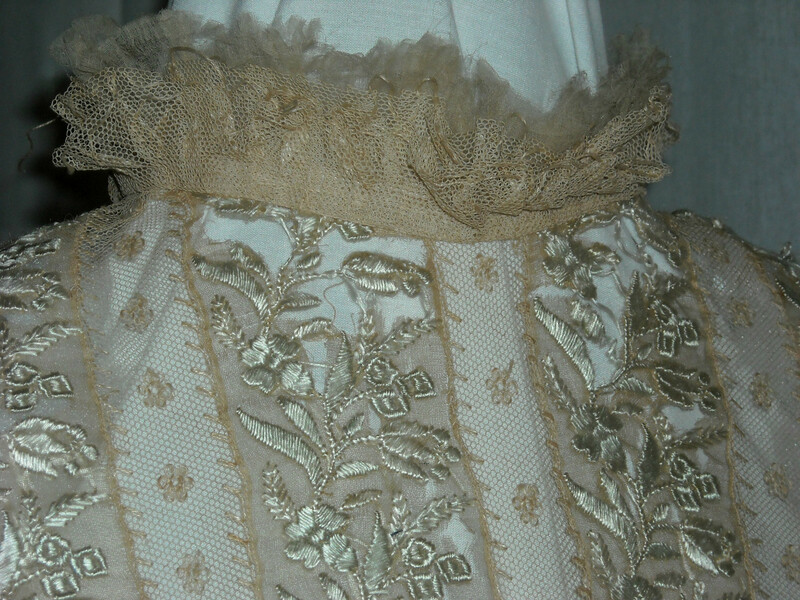 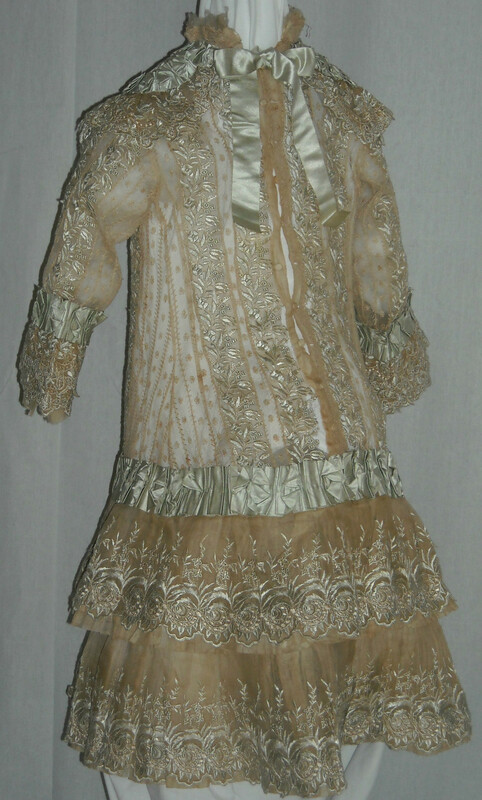 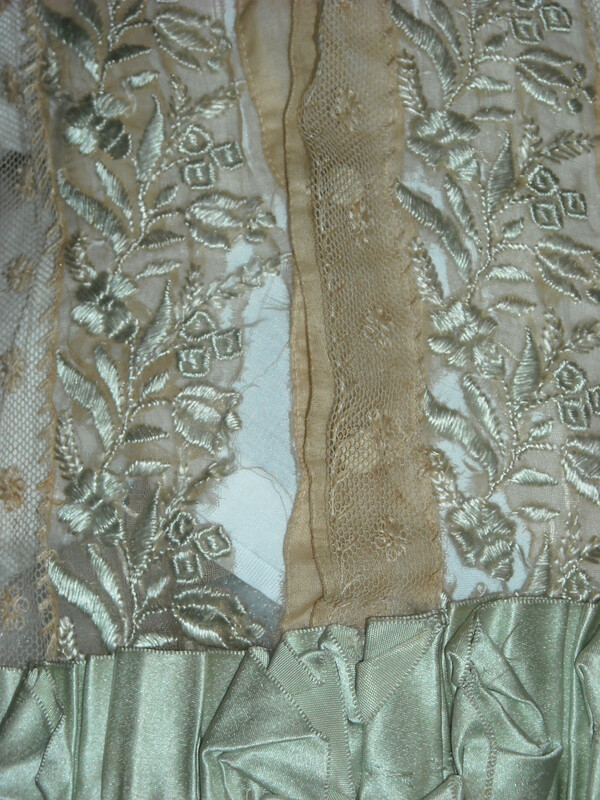 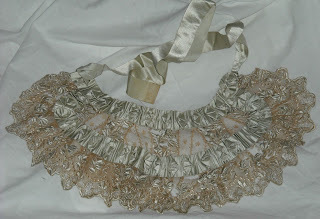 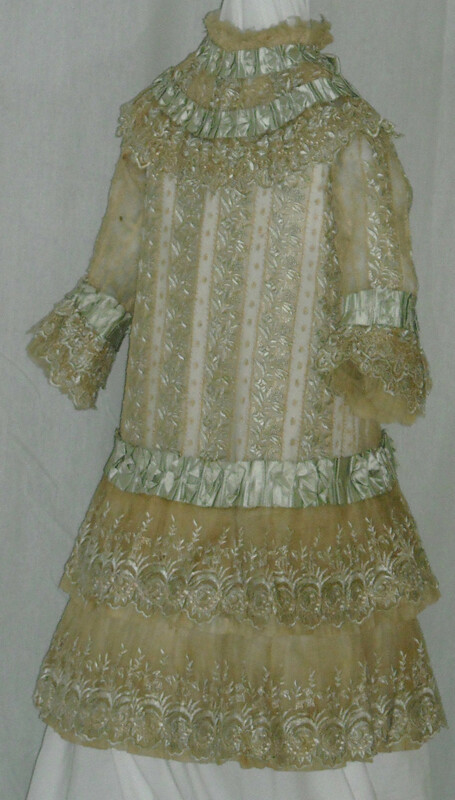 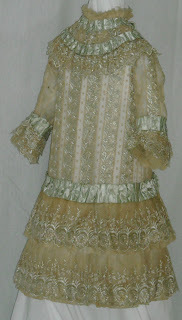 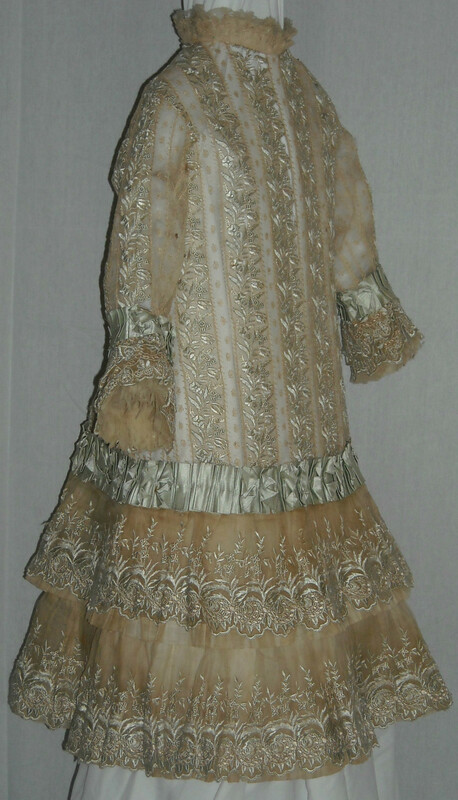 This is such a beautiful little girl's Victorian dress but unfortunately it needs restoration. 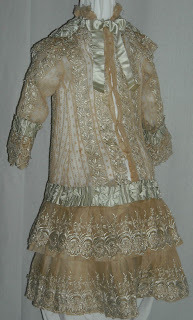 The dress is a sheer material with rows of lace and embroidery and fastens up the back with tiny covered buttons. 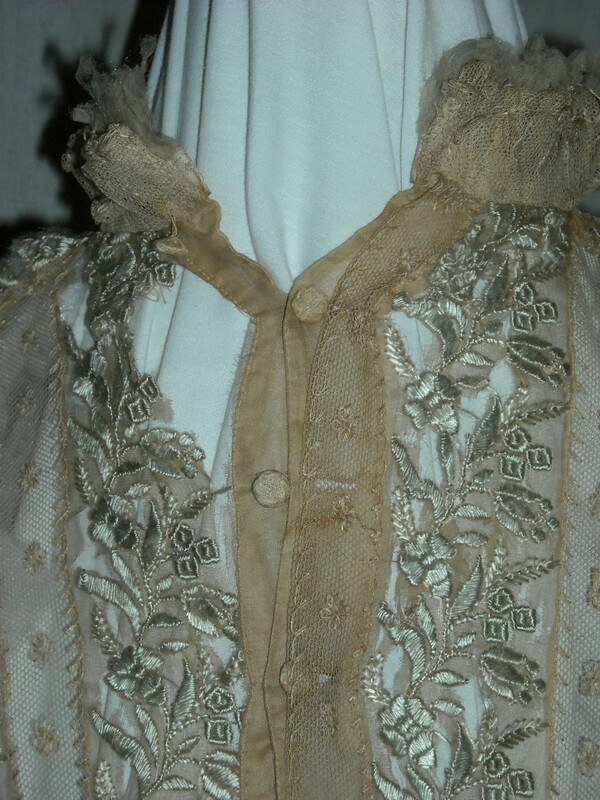 The sheer material is fragile and starting to shatter mostly around the neck and down the back near the buttons (photos). 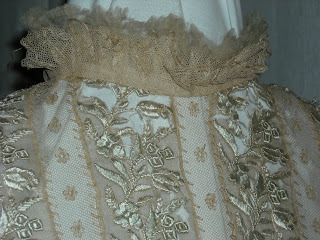 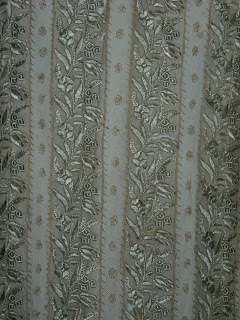 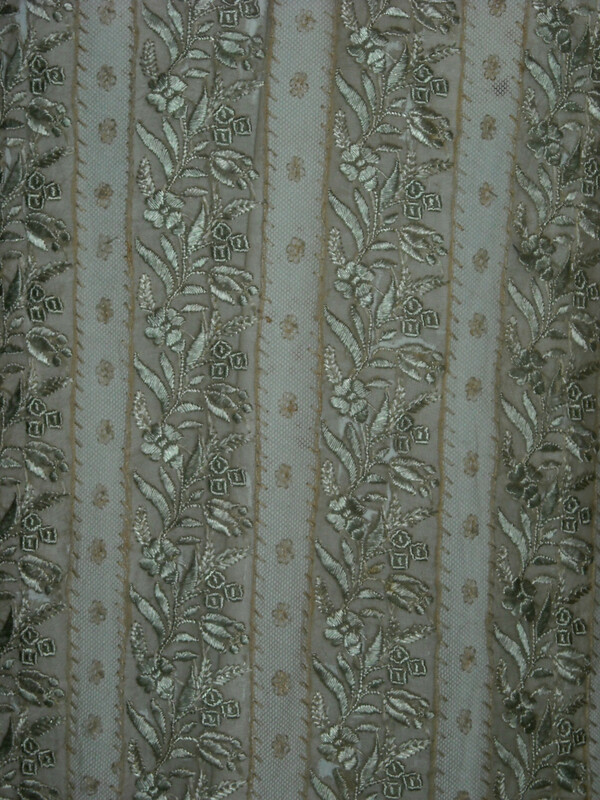 The embroidered work is done on the sheer material and there are some breaks in it (photos). 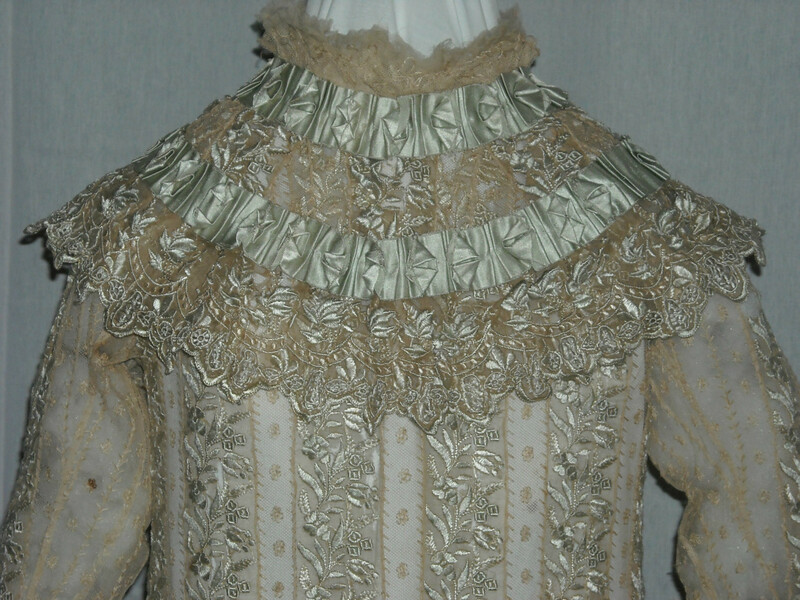 The dress has a detachable collar that matches the dress (photo). 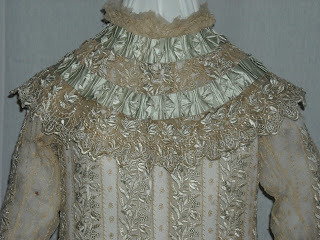 Pale blue silk ribbon trims the dropped waist, the collar, and the sleeves.